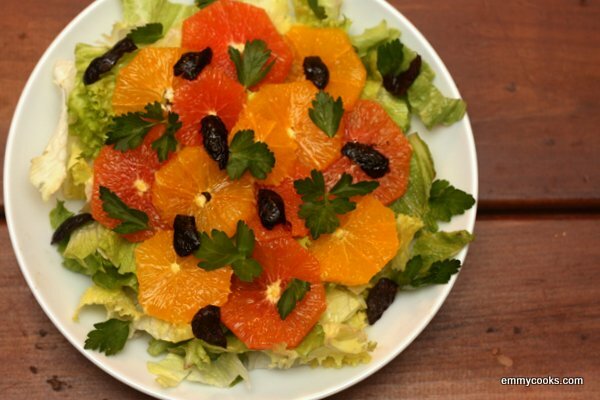 This entry was posted in Easily Multiplies to Feed a Crowd, Emmy Cooks Original, Food, Fruit, Recipes, Salads, Vegan or Would-Be-Just-As-Good-Vegan and tagged lettuce, olives, oranges, parsley, salad, vegan, vegetarian, winter on March 5, 2013 by emmycooks. Here’s a funny little thing, while we’re eating bits and bobs this week. 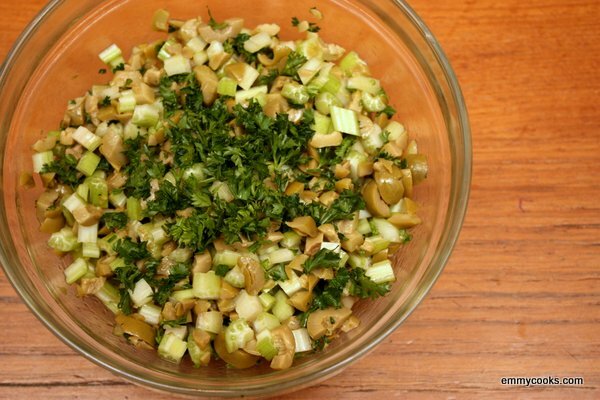 Not quite a salad, not quite a relish, full of flavor and crunch and brine and pop. This entry was posted in Food, Grains, Recipes, Snacks and Apps, Vegan or Would-Be-Just-As-Good-Vegan, Vegetables By Themselves and tagged celery, green olives, mint, olives, parsley on October 13, 2012 by emmycooks.